Hi everyone! I have a tip today to help you save some pennies.There is a great website called The Penny Hoarder. Here it is! There are all kinds of tips on there from how to make extra money with a side gig, how to save on groceries, budgeting and so much more. I am fine with Penny hoarding, but I don’t like Penny pinchers. 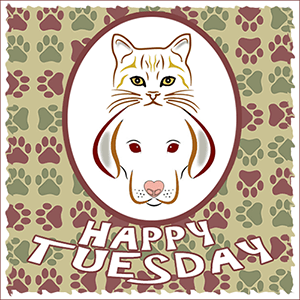 This entry was posted in Blog Hops, Penny's Tips and tagged Comedy Plus Happy Tuesday Blog Hop, Penny, Penny's Tips, The Penny Hoarder by pilch92. Bookmark the permalink. Saving pennies is always good – more money to buy cat treats! Thanks for the tip Penny! Penny pinching is not allowed around here according to my Mom…….she reminds my Dad of that ALL THE TIME! We think that saving pennies is a good idea. Every little bit helps. So Penny, you keep on pinching those pennies. You all have a great day. I agree, keep away from the Penny pinchers! I meant to say that I told you a while ago that I can never see not just my own but no-one’s comments. They are there for me to see 24 hours later though and I always check the next day to make sure they are there. I just noticed it isn’t there for the last 2 days so maybe they have gone to spam, or worse still, maybe they are floating around in outer space. I hope you get today’s comments. No Penny pinchers… never Penny! Great tip… I am going to click on the link! The FOOD tab is going to be fun! Recipes! Thanks again for tip, Penny. I bookmarked this link. It is going to be a great resource and interesting. I hope nobody pinches your pennies sweet Penny! We think that’s a great site! Thanks for sharing. You’re so cute, Penny! It must be hard for humans to resist pinching you. Our mom needs to save money, so she’ll check out that site. Penny I hear you about pinching…..don’t like it one bit especially on my body. If I’m pinched, I hit first!! I always love your tips and saving money for your treats is a good thing. Budgeting is something hubby and I do religiously. We think it’s a must to know where your money is going. Great tip. Penny. Thanks for sharing the site link. Purrs and hugs. I should send this link to a friend who forever struggles. ~nods~ Thanks, Penny! We won’t pinch you, Penny, but we will happily hoard you! Our human told us once about “pinching pennies” but our only reply was “more catnip, please.” She will appreciate knowing about this though! Pennies can certainly add up over time for being such a small amount of money. We have a money jar that catches all the loose change….for the grandkids, of course! Mom saves pennies,nickels, dimes, quarters – they are all in a piggy bank on the counter here. Yes, it really is a piggy. And we think it looks full enough to cash in and get us some yummy treats. Oh Penny! I’m a Penny snuggler, smoocher, hugger…not a pincher! Uh oh, Mudpie will tell you that I like to grab kitty tushies…especially tortie tushies! Penny, your tips are always very educational. And you look so beautiful doing it too. Thanks for the tip, Penny, we will definitely check this out! !